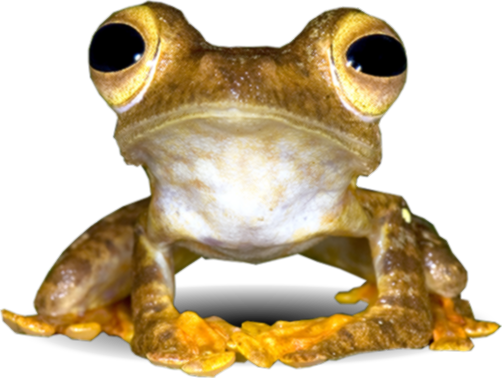 Fejervarya limnocharis is a frog species that has pointed snout and its tympanum is distinct. The finger and toe tips of this species are blunted and the first finger is longer than the second. This species has oval or elliptical inner metatarsal tubercle and its back is covered with warts or numerous longitudinal glandular folds. Sometime, this species turns reddish splotch at the middle of the ventral body and grayish green or brownish at above skin. Commonly, this species covered with fine or thick vertebral line and its limbs and lips with dark cross bars. The measurements of snout-vent length for males are 32 - 50 mm while for females are 48 - 60 mm. This species can be found in grassland and freshwater wetland. This species also typically found in all types of habitat especially disturbed forest and cosmopolitan areas, cleared areas, paddy fields, and villages. In Ulu Muda Forest Reserve, this species can be found along the logging roads. The altitudinal range of this species is up to 700m. Fejervarya limnocharis is a widespread species of frog. It is distributed in Bangladesh, Brunei Darussalam, Cambodia, China, Hong Kong, India, Indonesia, Japan, Lao People’s Democratic Republic, Sri Langka, Myanmar, Macau, Malaysia, Nepal, Philippines, Pakistan, Papua New Guinea, Singapore, Thailand, Taiwan and Vietnam. Hasdi, Hassan (2008). Rezab Hidupan Liar Sungai Dusun: Inspirasi Rimba Alam. Jabatan Perlindungan Hidupan Liar dan Taman Negara (PERHILITAN), Malaysia. pp. 74. Citation :- Fejervarya limnocharis. Malaysia Biodiversity Information System (MyBIS). https://www.mybis.gov.my/sp/19488. Downloaded on 26 April 2019.